We love WordPress. 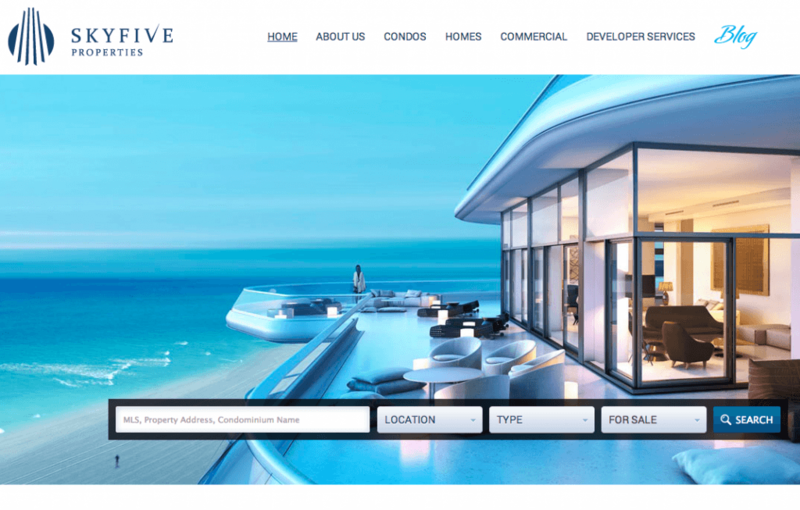 The Absolute Web Services professional WordPress design team worked tirelessly on creating a custom, modern site for Miami’s Sky Five Properties. After close collaboration with the client and a few great ideas, the site is finally ready for it’s Miami debut. Sky Five Properties wanted a website where visitors could quickly discover their dream property. The homepage of the site features streamlined, modern design with convenient functionality built in. 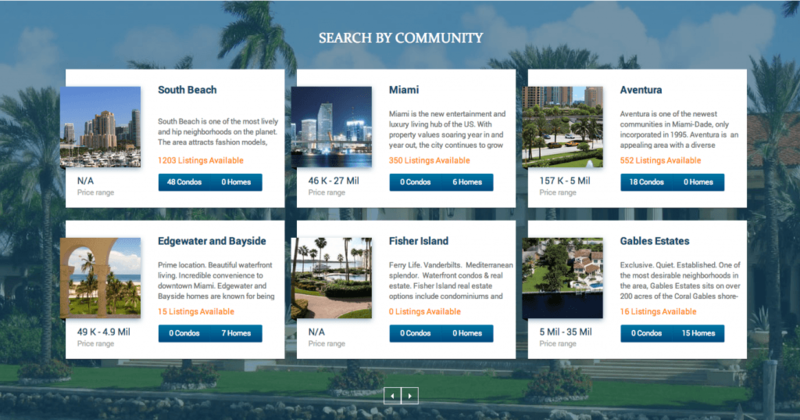 Our WordPress design team created a search function so that potential clients can simply enter in an MLS number, property address, or even just a condo’s name and find their dream property. Visitors to the site can search from the homepage without any scrolling or navigation. 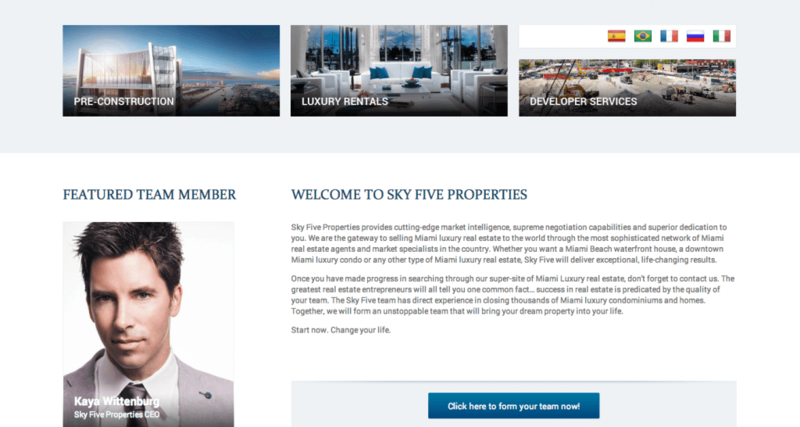 This unique design element makes the Sky Five Properties website one of the most convenient luxury real estate websites in Miami. Our design team worked together with Sky Five Properties to create a new WordPress based site that is extremely functional without sacrificing any design elements. Sky Five Properties gives their all to each and every client that contacts them. They do, however, offer extra services and membership to those who register to become a Sky Five Properties VIP. Absolute Web Services designed a custom registration function and streamlined sign-in area for VIP access from the homepage. Our WordPress designers worked closely with Sky Five Properties to meet the needs of the powerful real estate team. The new site is both easy to navigate and simple to manage. Walking the line between design aesthetics and custom functionality isn’t easy, but our team lived up to the challenge. The site required some challenging web development and programming, but http://skyfiveproperties.com/ is now officially launched.